One of the highlights of the horseracing calendar the Cheltenham Festival will begin in March of this year. Every year a huge sum of over £500 million are placed in bets while more than 200,000 racegoers come for the race. Bringing the best of all horses, it shows the best horsing competition between the Great Britain and Ireland. Its prize money is second only to the Grand National. The racing event continues for four days. The first day is the Champions Day at the Festival which begins on 13th March. The Unibet Champion Hurdle grabs mostly the attention of the punters this day. The famous trainer Nicky Henderson won the race in 2017 with his BuveurD'Air, and perhaps this year will be no different as well. He has already won this race six times making him the most successful trainer in this race. That's why, he will be a center of attention for the bookies. The second day is called the Ladies Day which begins on 14th March. Quite in keeping with the name, you will see many ladies wearing their finest dresses on this day. There is even a prize of £10,000 for the lady who dresses the best that day. Last year's winner for the best dressed lady was Una O'Farrell. On both the Champions Day and the Ladies Day, the doors open at 10.30 am while the racing begins at 1.30 pm. 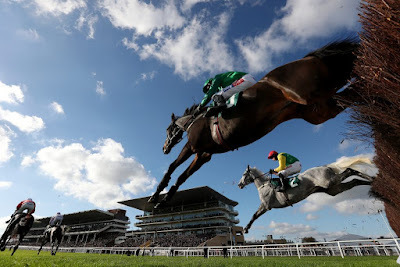 At the Cheltenham Festival, the St Patrick's Thursday will be celebrated a little earlier even if the actual St Patrick's Day may be a few days later. The celebrations this day has to do with Ireland. You will see Irish music being played everywhere along with a lot of Guinness on offer. This day's main race is the Sun Bets Stayer's Hurdle. It is the most important day in the whole event because this day decides the winner of the Cheltenham Gold Cup. A huge sum of money is betted on the results of the races on this day, far more than any of the other three days. Whoever wins goes down in history books and becomes immortalized. The Timico Gold Cup is the most popular and important race on this day. The most famous names who have won this race include Kauto Star, Dawn Run and Arkle. The last year's champion horse was Sizing John. The Cheltenham Festival will certainly witness a lot of betting. Therefore, it is a sure thing that the bookmakers, for attracting maximum bettors, will be offering a plenty of free bets. These free bets would not be difficult to find, however the question of where to place all these free bets will be the real challenge. If you already have a large number of free bets, it is probably best that you use them on any of the four main Championship races instead of using them on the big field handicap races. Use it on any of the Champion Hurdle, the Stayers Hurdle, the Champion Chase or the Gold Cup and hopefully you will see a big return. Although nothing can be said with certainty in these races, yet the factor of probability reduces the risks a great deal. And this year, the probability of Might Bite winning the Gold Cup looks very high who has won many races including the King George VI Chase. If you are someone who has not got any free bets yet, then you can get all the best online bookmakers on TheBookiesOffers.co.uk. On this site, you will find the best guide to bookies' free bets, betting offers and welcome bonuses. You will get all the Cheltenham 2018 betting offers here on this site. All the mentioned bookmakers get recognition on the site only after a thorough review. If you have always liked Bet365, it will be no sacrifice to compare it with the offers of William Hill, Ladbrokes and Paddy Power. They all have very appealing offers. The history of Cheltenham goes back to 200 years when on Nottingham Hill the first flat race meeting took place. After three more years, another meeting on Cleeve Hill was held in August of 1818 which included five races. The following year a grandstand on the side of the hill was constructed and a proper course was also laid. The duration was extended to three days and the first ever Cheltenham Gold Cup was also held which was won by Spectre. Slowly these races begin to get very popular with the attendance of crowds going above 50,000. Gambling and drinking started becoming part of all these, which drew the ire of Anglican Rector of Cheltenham, Reverend Francis Close. Therefore, the races were moved to Prestbury Park for a little while, but it was moved back very soon to the Cleeve Hill. As the century was drawing to a close, the popularity of the races were also decreasing very fast. However, the Cheltenham Racecourse's founder Mr W.A Baring Bingham did a lot for saving these races when Prestbury Park was sold to him. The Prestbury Park is now the location where the hugely popular Cheltenham Festival is held every year.